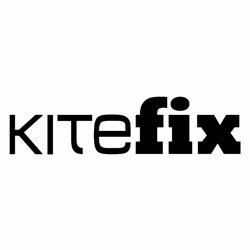 Whether travelling to an exotic location or heading down to your local spot, the KiteFix Complete Kit is an essential part of your kiteboarding gear that you don’t want to leave home without! This kit will allow you to permanently and aesthetically repair almost any tear, break, seal or leak you kite might have. We have added an extra tube of GluFix to allow you fix up to an 8 foot canopy tear (color matched), up to a 6 foot long leading edge or strut repair, bladder leaks and valve repairs, often within the hour. Never miss another session! Choose the first and original DIY Complete Repair Kit. 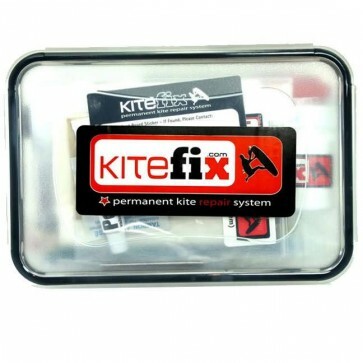 Made by Kiters, for Kiters, KiteFix’s Complete Repair kit is a must have for your kiting gear. Don’t leave home without it! Now 2 Tubes of GluFix for twice the repairs! Includes: 2 - 1oz. GluFix tubes, 2 self-adhesive Dacron rolls (4’ each. ), 7 FiberFix multi-color tapes (4’ each), 1 - Ultra-adhesive bladder patch (4’’x 9’’), 1 Talkine bottle (3 oz. 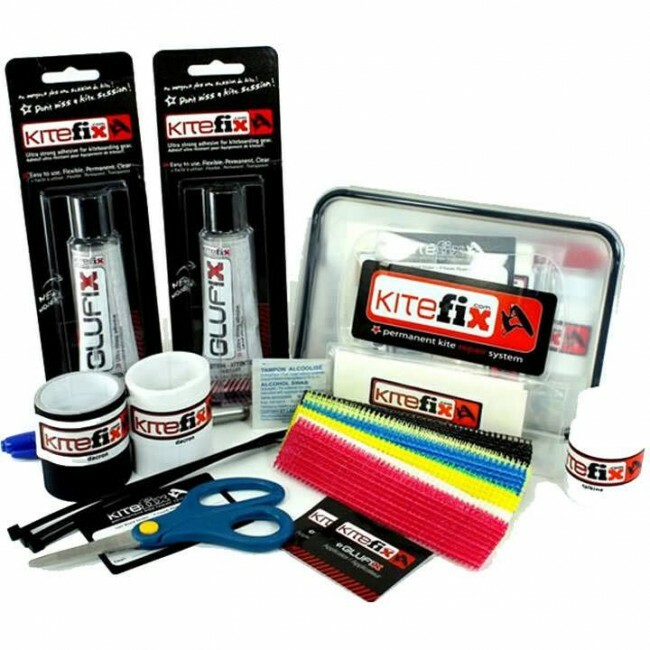 ), 1 GluFix applicator, 8 alcohol swabs, 3 tie raps, 1 detailed user’s guide, 1 pair of scissors, 1 marker, 1 plastic bag, 1 KiteFix ‘lost board’ sticker. All put together in an airtight plastic container. Bought this kit for a trip to thailand. I went out yesterday and just as i was setting up my kite popped, it took me 5 mins to fix it with this kit, it has it all, scissors, dacron, type a plastic, everyyything!